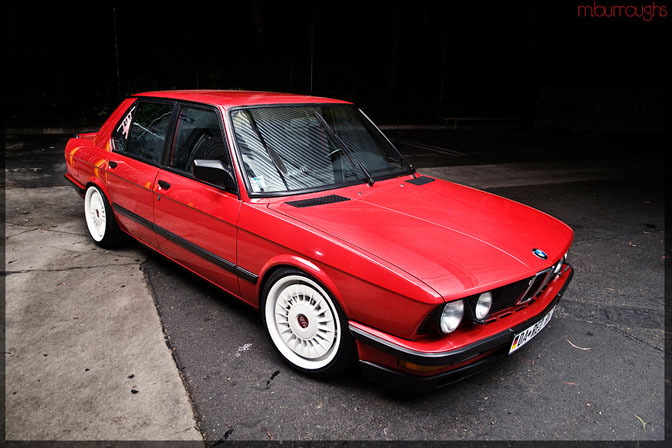 Here's another Stanceworks BMW to drool over. This E28 535i is owned by Austin Driggers of San Diego and serves as a daily driver during the week and an autocross warrior come the weekend. 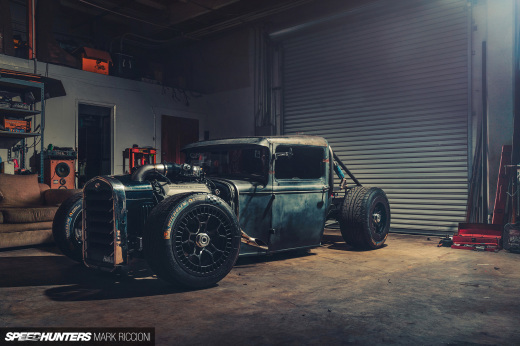 Modifications include old school M-system wheels, Euro bumpers, and full suspension with Ground Control Coilovers. Thanks again to Mike Burroughs for the photo! Looks amazing! Love that red. But what are those rims anyway? 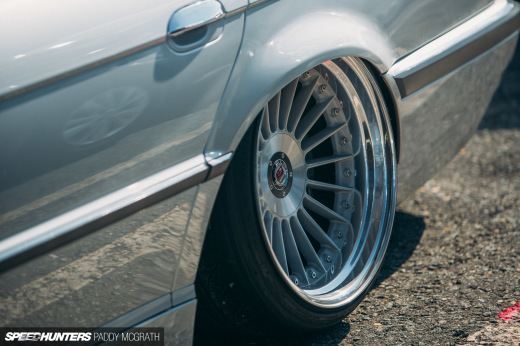 @Chris Davy: These are E34 M5 wheels. They're almost turbine-shaped alloy rims, topped off with those caps which is what you actually see. 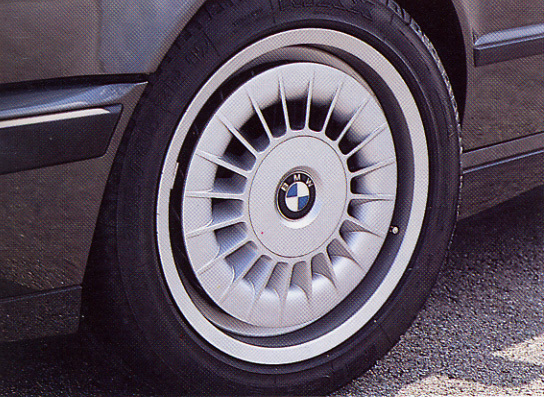 E34 M5 M-system 1 "Turbine" wheels FTMFW. I only wish they were 18's so I could put them on my M.
what a beauty, so damn cool! So those rims are not aftermarket? They're actually from BMW!? Any ideea on a price tag for one of those? what the!! I thought that car was trash but now I wanna get one! I want this one! @ i was on google searching the rims and i saw this car alot of times, maybe because its awesome. I'm eyeing one on sale in my neighbourhood for $2000.... boy do I want it. I think i need to lay down for a second.